Having a smartphone with a push-to-talk function for group communication with a team of people sounds great. 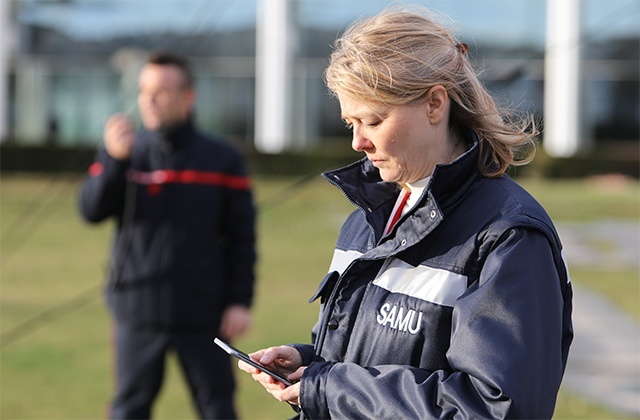 For example, volunteers working in an operation led by fire and rescue teams could use their smartphones and a push-to-talk application to communicate in professional TETRA talk groups. It sounds cool but how practical are today's smartphones in practice? Can they deliver the five things that a professional, everyday user cannot do without? A field test of a push-to-talk application on smartphones* was run to find out just that. 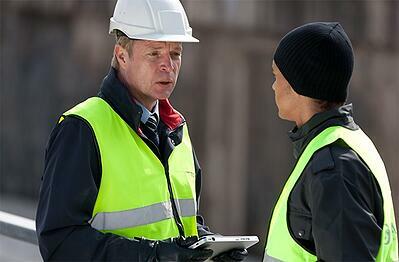 Professional users with many years of experience in public safety communications tested a group call application. It was tried on several smartphone models currently on the market. There are some attractive smart devices on the market, but even the most promising still don’t offer all or even some of the five features so important to a professional, who will use the device continually throughout their shift. With users pressing the push-to-talk dozens of times during a shift, it’s s not surprising that it is the most consistently mentioned feature. They want the PTT key (or button) to be reliable, easy to find and easy to use. 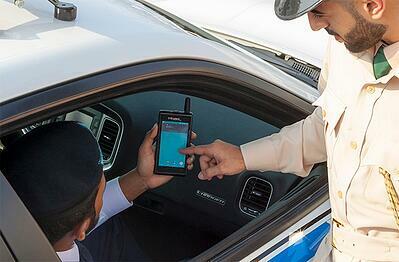 Over two decades of design and development has produced a PTT key for TETRA/Tetrapol radios that meets users’ needs. A touchscreen button can work well for occasional use. But it just isn’t good enough for constant everyday use. Users want a specific, physical PTT key, located where it’s comfortable to press and to keep pressed down. What’s more, many users will wear gloves while pressing the PTT, which can make a touchscreen key impractical. Voice is the second critical factor in push-to-talk use – after all, the word “talk” is part of the name. The testers clearly expected the devices to deliver excellent voice quality, and at the volume they need in noisy environments. Voice breaking up at high volume just does not work. Audible voice in all conditions is something of a challenge for current devices, particularly for consumer smartphones. Their audio system is optimized for listening to music, not speech at high volume. 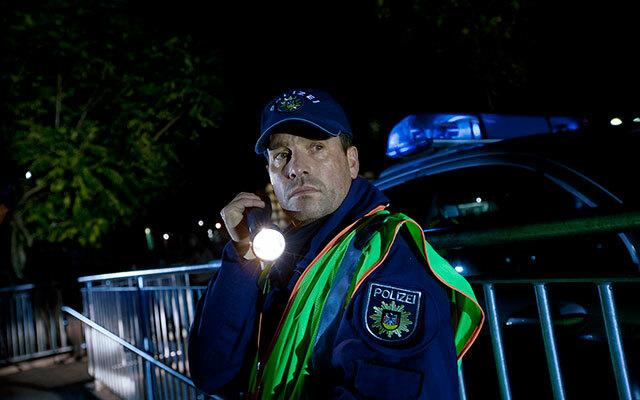 The work shift of a public safety professional is usually eight hours long. The battery has to provide operating juice not only for the push-to-talk and voice communications, but also for running its GPS positioning, camera and data apps. Recharging the device in the middle of the shift is not an option. In other words, the field test demonstrated that users wanted the device to have a long-lasting, heavy-duty battery which can be changed while on the go. How many smartphones do that? Now, how do I set up the group I want? When a device looks like a familiar smartphone, the professional user will start using it like one. This is a great benefit because it means less training. On the other hand, the familiar broadband device will also need to offer a simple intuitive user interface for the push-to-talk group communication features. This has proven a challenge for many commercial push-to-talk apps. Does it break too easily? Some of the participants of the study were people whose workplace is a boat out at sea. They need a device that won’t be put out of action by a few water splashes. All public safety professionals in the study required a rugged device, which can take the knocks and will not fall apart if dropped on concrete. A commercial, off-the-shelf smartphone just does not cut it. Want an alternative to a regular smartphone? Take a look at Tactilon Dabat, designed for professionals. 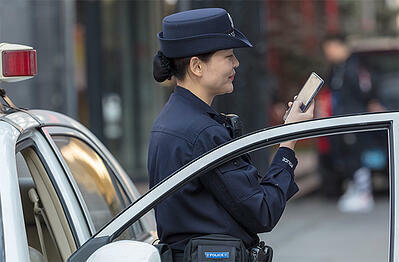 It is a smartphone and a TETRA radio in one device. This post concentrated on the characteristics of the device. Do you want to read more about the push-to-talk application itself? If you are thinking about adopting a group communication app, take a look at the blog post "How to recognize a professional push-to-talk application" to learn the key things to look for. * In May-June 2016, three different organizations in Estonia carried out a hands-on test with a group talk application on a smartphone. The insights in this blog post are based on the test reports. Editor’s note: This post was first published in August 2016 and has since been updated for accuracy and comprehensiveness.